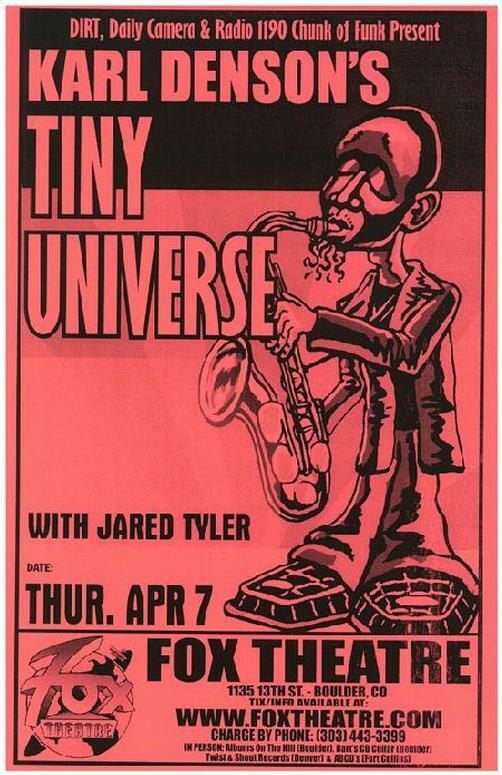 Original concert poster for Karl Denson's Tiny Universe at the Fox Theatre in Boulder, Colorado in 2005. Rare telephone pole poster- very few survived. 11x17 thin paper. THIS ITEM IS CURRENTLY ONLY AVAILABLE ON OUR WEBSITE.